We are looking forward to working with you and helping you to achieve your goals as an Agility Instructor and coach. At Agility1st we set out to excel at everything we do and our aim is to create an environment in which we will produce some of the very best Agility Instructors and Coaches in the world. This is an exciting project for us, we want you to share in this excitement and enjoy the experience of developing your goal and ambitions as an experienced, confident instructor and coach with us. We believe we are developing the best agility coaching framework there is. We are proud to be sharing this with you. As an Agility 1st member you will have access to the latest training and coaching techniques and to our partners expertise in their fields of experience. Both Steve and Mark share a general interest in developing the sport of Agility by using the latest sport science techniques to improve handler skills, agility instructors and their training/ they also share an interest in developing and improving high performance coaching for the sport of agility. Exciting times ahead for our sport. Now a professional agility dog trainer and handler coach, Steve spent most of his business career working for a major UK bank. He started working for the international business arm of the bank in 1974 and finished this part of his career after 28 years having gained experience in people management, business operations, product management, marketing and managing large projects across the group. He is married to Yvonne and they now live in the Midlands of England with their eight Border Collies. Steve has been a regular competitor in agility for over 25 years and has been a full time professional agility trainer since leaving banking in 2003 Steve has gained a reputation for his work in developing canine movement skills and also as a coach working with some of the country’s leading handlers. He regularly presents his work at seminars both in the UK and in other countries and is an international agility judge. 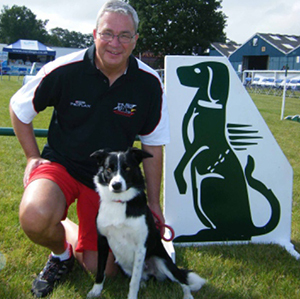 Steve managed and coached the Kennel Club’s international agility team for 10 years up to 2011. His leadership of Agility Team GB. was incredibly successful with the team medalling nearly every year at the FCI Agility World Championship since he took over the team in 2001. 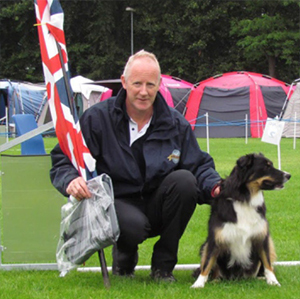 A successful handler in his own right Steve is still competing in the UK with two of his Border Collies. His other interests outside of agility are watching and analysing almost any sports, understanding sport science and how it can be applied to his own agility training/ he also spends time following his favourite football team. Mark’s agility history goes back over 20 years. Highlights of his agility career include; making his dog Kodi (Bekkis Carbon Copy) up to Agility Champion, winning the Crufts Championship class in 2010 and representing Team GB at the European Open. Mark has recently been appointed as the Kennel Club’s Agility Team GB. Manager where he will use his experience in sports psychology and business skills to enable high performance. He has built a reputation for effectively transferring these techniques and skills to dog agility and he is currently working with a number of the UK’s most successful handlers helping them to develop their skills. In his professional life Mark works for an Energy Company managing a wide portfolio of business and people related projects. Business & Personal development are of particular interest to Mark, subjects that he carries through into his sporting interests. Mark has used this knowledge, enthusiasm and experience to develop with Steve Agility1st’s high quality agility training and coaching programme. Mark lives Nottinghamshire with his wife Karen their five Border Collies and a Jack Russell X and two Japanese Chin’s.